Mark works with communities on issues related to human dimensions of environmental change and natural resource conservation. His background and expertise are in social-ecological resilience and transformations, governance networks, knowledge systems, and climate adaptation. As a Postdoctoral Fellow (with Dr. Ashlee Cunsolo, Labrador Institute and Dr. Dan Gillis, University of Guelph), Mark contributed to development of a community-based system for tracking environmental change in order to support wildlife stewardship and conservation. This monitoring system is centered on app-based data collection (e.g. using smart phones and tablets) in order to engage and empower Inuit sovereignty over adaptive responses to environmental change. For his doctoral studies at University of Waterloo, Mark investigated how fishing communities can create or become more engaged in programs to improve livelihoods and ecological sustainability. This work, based in Vietnam, explored questions about fishers’ perceptions of environmental change, how to further engage fishers in co-management networks, and how successes with small-scale fisheries management can be replicated across communities. After Mark’s time in the Research Team, he began a Postdoctoral Fellowship at the University of Ottawa. Where did Anna go? After graduation, Anna began a full-time Epidemiologist position with the Outbreak Management Division at the Public Health Agency of Canada. Anna’s Bio: Anna graduated from the Bachelor of Science program in Microbiology at the University of Guelph in 2015. Co-op work terms at the Public Health Agency of Canada during her undergraduate degree sparked her interest in relationships between climate, environment, and human health. Anna completed her MSc in Epidemiology with the Harper Lab, where her thesis investigated the prevalence of foodborne pathogens in country foods harvested near Iqaluit. Anna's work fell under the umbrella of the larger People, Animals, Water, and Sustenance (PAWS) Project, which aims to develop a participatory, community-based environmental surveillance system to better understand and monitor pathogens causing acute gastrointestinal illness in Iqaluit.populations. After Stephanie graduated from her MSc in 2018, she started a full-time position as a Research Manager with The Flowr Corporation in Kelowna, BC. She is working with the Research & Development team to conduct studies examining the human health effects of cannabis in Canada. 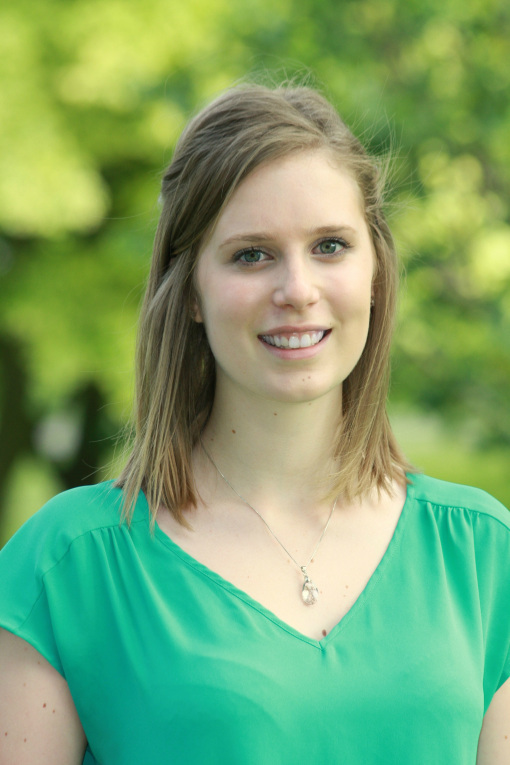 Stephanie’s Old Bio: Stephanie is a first-year MSc student in Epidemiology at the University of Guelph. She graduated with a Bachelor of Science in Environmental Sciences at the University of Guelph where she started a research project with Dr. Sherilee Harper and Kate Bishop-Williams exploring the burden of chronic gastrointestinal illness in Rigolet, Nunatsiavut. Stephanie developed an interest in how climate change affects water resources during her undergraduate co-op positions. In these roles, she monitored water quality and was introduced to waterborne disease mitigation and public health. Her thesis project aims to determine the prevalence and sources of waterborne pathogens in Iqaluit, Nunavut to explore why the rates of acute gastrointestinal illness appear to be high in this community. This is part of a broader, collaborative project (the PAWS project) aiming to develop a participatory, community-based environmental surveillance system to better understand and monitor pathogens in Iqaluit. Nia is entering the fourth year of her undergraduate degree in Biomedical Sciences at the University of Guelph. Stemming from a love for global health, in 2014, Nia had the opportunity to conduct research in a small rural Kenyan village investigating community nutrition and the determinants of primary school absenteeism and dropout. For her 2015/2016 undergraduate research thesis, Nia worked with Rachael Vriezen and Dr. Sherilee Harper. She travelled to Rigolet and where she investigated the indirect economic costs of acute gastrointestinal illness (AGI) in order to inform a comprehensive cost-of-illness model. For summer 2016, Nia worked as a Research Assistant for Dr. Harper and focused primarily on Knowledge, Translation, and Exchange strategies, as well as researching the Climate Change Adaptation Landscape in Nunatsiavut, Labrador. Nia will be continuing her work as a Research Assistant this fall, and will also be completing an independent study course. Julia is an undergraduate student majoring in Bio-Medical Sciences at the University of Guelph. She is passionate about global health, science, and social justice, which draws her to the interdisciplinary nature of epidemiology and the Harper Lab. Julia recently completed a systematic scoping review which investigates the associations between climate and the Neglected Tropical Diseases in East Africa with Dr. Sherilee Harper and Kate Bishop-Williams. She has also worked in Southwestern Uganda as a Research Assistant for Kaitlin Patterson’s study of maternal and infant health among the Batwa. Part of her time in Uganda was spent in local communities learning from women about their experiences with food during pregnancy. These discussions will inform her undergraduate thesis project investigating associations between climate and Indigenous maternal nutrition and food security in Kanungu District, Uganda. Mackenzie is a first year student in the Master of Public Health and International Development Studies program at the University of Guelph, where she completed an Honours Bachelor of Biomedical Science with a minor in Nutritional and Nutraceutical Science in 2016. As part of her undergraduate research, Mackenzie worked in Cambodia studying the sodium intake of rural Cambodians. This has shaped her interest in Global Health and Nutrition. As part of her Masters, Mackenzie is traveling to Southwestern Uganda to examine how national recommendations for antenatal care are being implemented at the community level by health care facilities to elicit understanding and compliance in women receiving care. The project aims to understand national, community and individual levels of maternal nutritional care. Using qualitative data obtained through focus group discussions and key informant interviews, the objectives of the project are to improve efficiency and delivery of antenatal care, as well as improving other areas of maternal nutrition services in the region. Chloe is entering the final year of her undergraduate degree, majoring in International Development Studies, with an emphasis in Business and Economic Development. Over the course of her degree Chloe has developed a deep interest in food security, systems, and safety. After graduation she plans to pursue further studies surrounding global policy as related to food systems, climate change, and maternal and children’s health in the context of rural and indigenous populations both in Canada and abroad. Chloe really looks forward to working alongside the inspiring team in the Harper Lab this summer, and is thrilled to have the opportunity to contribute to the IHACC project. Jessica is entering her fourth year of an undergraduate degree in Biomedical Sciences at the University of Guelph. Her academic interests span many areas including human health and physiology, population medicine and environmental science. After graduation Jessica hopes to pursue further studies in healthcare focusing on rural and indigenous communities. For the summer of 2017, Jessica will be contributing to the Indigenous Health Adaptation to Climate Change (IHACC) project, acting as an undergraduate research assistant in the Harper Lab. Matt is a fourth year student in the biomedical science program at the University of Guelph. Over the past few years, he has developed a passion for global health, epidemiology, and the dynamic relationship between human health and the environment. Matt has previously conducted research on implementing maternal and child health interventions in low-resource settings, leading to a strong interest in the process of translating research evidence into more equitable health policy. Matt is excited to join the Harper lab as an undergraduate research student in the Fall 2017 semester. Where did Lindsay go? After graduation, Lindsay began a full-time position at the Gordon Foundation, as a Program Coordinator for the MacKenzie DataStream. Lindsay's Bio: Lindsay completed her Masters of Science degree in Population Medicine at the University of Guelph. Through her graduate research, Lindsay worked with a diverse team of researchers and knowledge-holders on a Canadian Water Network-funded project that explored approaches to bringing Indigenous and Western knowledges together in water research and stewardship, and led the development of a collaborative podcast to share this emergent dialogue with a wide audience (www.WaterDialogues.ca). In 2017, she joined The Gordon Foundation as their DataStream Program Coordinator. In this role Lindsay works with communities and other collaborators to continually grow and improve Mackenzie DataStream, an online, open-access platform for sharing water quality data in the Mackenzie River Basin. Manpreet's Old Bio: Manpreet completed her Bachelor of Science from McMaster University in 2013. Her undergraduate studies focused on cellular and plant biology. For her MSc, she is under the advisory of Drs Sherilee Harper, Steven Roche, and Andrew Papadopoulos. Her masters project stems from her interest in the environment, health and community outreach. Manpreet is working to understand important knowledge transfer and exchange strategies for research done with Inuit communities in Nunatsiavut, Labrador. Additionally, she is working on co-developing a whiteboard video to share health information with community members from Rigolet, Nunatsiavut, and evaluating the collaborative process and tool. For more information about the video you can visit: rigoletwhiteboard.com. Where did Anna go? After working as a Project Manager for our team, Anna Bunce now works as First Nations Advisor for the Ministry of Forests, Lands, and Natural Resources in British Columbia. Anna's Old Bio: I am a early career social scientist interested in the human dimensions of climate change. Currently I am working as a researcher and project manager for the People, Animals, Water, and Sustenance (PAWS) project associated with the University of Guelph and Cape Breton University, as well as the eNuk Environment and Health Monitoring Project, working with Dr. Ashlee Cunsolo and Dr. Sherilee Harper. Sarah's Old Bio: Sarah completed her course-based MSc in Epidemiology. She completed an Honours Bachelor of Science degree in Nutrition and Nutraceutical Science, with a minor in Mathematical Science, from the University of Guelph in 2014. The focus of her research project was malnutrition within Indigenous Populations in Kanungu District, Uganda. Sarah has always had a passion for nutrition and health promotion at both the individual-level and community-level. She hopes that her research project will shed light on the prevalence and risk factors of malnutrition in this community through the use of effective knowledge translation strategies. Keywords: Clinical undernutrition; Paediatric; Prevalence; Anaemia; Uganda; Weight-for-age; Malnutrition; Kwashiorkor; Marasmus; Hospital malnutrition. Where did Ellen go? After graduation, Ellen began working as an Administrator at the Parry Sound Family Health Team learning about many of the behind the scenes activities in Northern Ontario primary healthcare programs (e.g., Memory Clinics, hypertension, well-baby visits, smoking cessation, postpartum depression, immunizations). She is most excited about her involvement in data collection, analysis, and interpretation at the Health Team for Ontario Quality Improvement Plan Initiatives and is looking forward to taking part in the action piece of this research-to-action. Ellen's Old Bio: Ellen completed an Honours Bachelor of Science degree in Biomedical Science at the University of Guelph in 2013. She is the Founder & Director of Akwaaba Education Initiative, a charity collaborating with a remote community in Ghana, West Africa to improve basic education and overall health. Stemming from a lifelong passion to better health outcomes in remote Indigenous communities internationally, she was hired as a research assistant with IHACC in the summer of 2013. As a research assistant, she travelled to Iqaluit, Nunavut to aid in the conduction of the May 2013 Burden of Illness Study. She is currently working towards an MSc in Epidemiology, and is excited to begin understanding the burden of acute gastrointestinal illness for Inuit in Iqaluit. She is also interested in determining ‘best practices’ for knowledge translation and exchange of health-research in Inuit communities. Where did Emily go? After graduation, Emily started a MSc in Epidemiology at Western University. Emily's Old Bio: Emily is in her fourth year of an undergraduate degree in Biomedical Sciences at the University of Guelph. She is also minoring in Neuroscience and completing certificates in Aboriginal Affairs and in Civic Engagement and Global Citizenship. For the summer of 2016, Emily is working as a Research Assistant in the Harper Lab with a focus on plain language research dissemination and writing a scoping literature review on diarrheal disease in Peru. This review will inform Emily's upcoming project on acute gastrointestinal illness in an Indigenous Shawi community in the Peruvian Amazon. Lisa's Old Bio: Lisa was a third year student in the Biomedical Science program at the University of Guelph. She worked as a research assistant for the lab during the summer of 2016. Her primary focus was knowledge translation and dissemination of research information into more accessible forms for stakeholders and community members. During her time in the lab she has made posters, infographics, websites, and more. She also worked on compiling Acute Gastrointestinal Illness survey data from Rigolet, Canada into a booklet form for policy makers. Julia's Old Bio: Julia is a fourth year student in the Bachelor of Arts and Sciences (Honours) program at the University of Guelph, minoring in Biology and International Development. She is working with Dr. Sherilee Harper and MPH student Steven Lam on her honours thesis evaluating perceptions of agricultural waste management in Vietnam, which is currently under review at the International Journal of Public Health. She has a long-standing interest in health care, public health, and health education in developing countries and underserved communities. In addition to her studies, Julia is a member of the Guelph Gryphons varsity swim team and has been an Academic All-Canadian throughout her undergraduate career. Once she has completed her undergraduate studies, Julia plans to travel and go on to pursue further educational opportunities. Keywords: Risk perceptions, health risks, public health, wastewater, waste management, agricultural intensification, Vietnam. Camila's Old Bio: Camila is originally from Colombia, and has finished her 3rd year of her Bachelors degree in Animal Biology and Nutrition and Nutraceutical Sciences. She is the co-founder and president of Hand of Latin America; an on-growing community at the University of Guelph whose main objective is to spread awareness about the needs of the people in Latin American communities. Camila will be working as a research assistant for Dr. Sherilee Harper and PhD student Paola A. Torres Slimming. She considers herself a passionate traveller, which has led her to volunteer on some research projects around the globe. Where did Rebecca go? After her time in the research group, Rebecca went to veterinary school to pursue a Doctor of Veterinary Medicine. Rebecca's Old Bio: Rebecca is currently pursuing her undergraduate degree in the Bachelor of Arts and Science (BAS Hons.) program, completing minors in Biology and International Development. She will be doing a fourth year Independent Study with Dr. Harper. While her Independent Study work is to be determined, Rebecca is very excited to become more involved in the Harper Lab and explore the intersection of health and the environment. She is currently working for both Dr. Todd Duffield and Dr. Harper as an Undergraduate Research Assistant. Where did Sabrina go? After graduating from UofG, Sabrina went to McMaster University to start a two year accelerated nursing program (BScN) with goals to pursue a career as a Nurse Practitioner. Sabrina's Old Bio: Sabrina is in her fourth year of her undergraduate degree in Bio Medical Science at the University of Guelph. She is looking forward to studying environmental impacts on human health, especially among populations in Uganda. Sabrina will be conducting a literature review of a climate-sensitive health topic in the summer of 2015 and will continue working in the Harper lab on a fourth year undergraduate thesis project in the fall. Sabrina's fall-winter project involves determining an approach to systematically reviewing content on blogs related to climate change and health. Keywords: Canadian, newspaper articles, systematic literature review, health, climate change, public perceptions. Where did Jess go? After graduation, Jessica enrolled in the Master of Public Health program at the University of Guelph. Jess's Old Bio: Jessica is in her fourth year of her undergraduate degree in Bio-Medical Science at the University of Guelph. She is currently working on a fourth year undergraduate thesis project for the 2015/2016 school year with Dr. Sherilee Harper and Kate Bishop-Williams. Jessica’s project involves an evaluation of the Health Record System used in a hospital in rural Uganda. Jessica is interested in all aspects of epidemiology and is looking forward to applying Ecohealth concepts in her research. Jessica intends to pursue a MSc following graduation in epidemiology and public health. Where did Jen go? After her time in the lab, Jen went to medical school at McMaster. Jen's Old Bio: Jenifer recently graduated from the University of Guelph with a Bachelor of Science degree. Her previous research involved assisting in a systematic review relating to waterborne disease outbreaks in Canada and the U.S. in the last fifty years, as well as looking into consumer knowledge of foodborne illness in Guelph. Jenifer will be working as a research assistant for Dr. Sherilee Harper throughout the summer of 2014. Her project will look at evaluating a public health campaign on water safety by Inuit high school students. Her research interests include food and waterborne illnesses, social determinants of health and sustainable livelihoods, ecosystems approach to health research and understanding, and the impact of climate change on indigenous health and well-being. Where did Rebecca go? After my B.A.S I was one of 25 young Ontario leaders accepted into an 8-month fellowship in systems change and leadership at MaRS Discovery District (Studio Y). While a part of the fellowship I worked with the UoT medical school to design and develop curriculum to teach Indigenous health to medical students, a project which I am still continuing now that the fellowship has ended. Since May 2016 I have begun a journalism project looking at the effects of oil spills on Indigenous communities in the Amazon, and starting September I will continue this project while leading gap-year semester programs in South America! Rebecca's Old Bio: Rebecca is a 4th year student in the Bachelor of Arts and Science program at the University of Guelph. In 2013 she spent the summer working as a research assistant with the IHACC Peru team, helping to collect medical data and profile IHACC’s partner communities in Peru. As part of an independent study, she published a paper on Indigenous health knowledge and integrative healthcare systems in Peru. For her 4th year independent study, Rebecca will be working with IHACC Shawi communities in Peru on perceptions and cosmology around water and waterborne illness. Throughout her undergrad Rebecca has worked with Latin American Indigenous communities. She plans to continue collaborating on issues of Indigenous rights and health in Peru after completing her undergraduate degree. Where did Alison go? Alison graduated from the University of Guelph in 2015 and moved to Toronto to begin her Medical Doctor program at the University of Toronto. Alison's Old Bio: Alison recently graduated from the University of Guelph with an Honours Bachelor of Arts and Science in Anthropology and Biology, and completed her fourth year Independent Study in the Harper Lab, conducting research on the seasonality of AGI in Batwa communities in Uganda. She is excited to continue her work with the lab this summer as a Research Assistant, developing and implementing a Knowledge Translation and Exchange strategy to disseminate IHACC research findings to Inuit research partners and communities in the Canadian Arctic. Where did Sierra go? 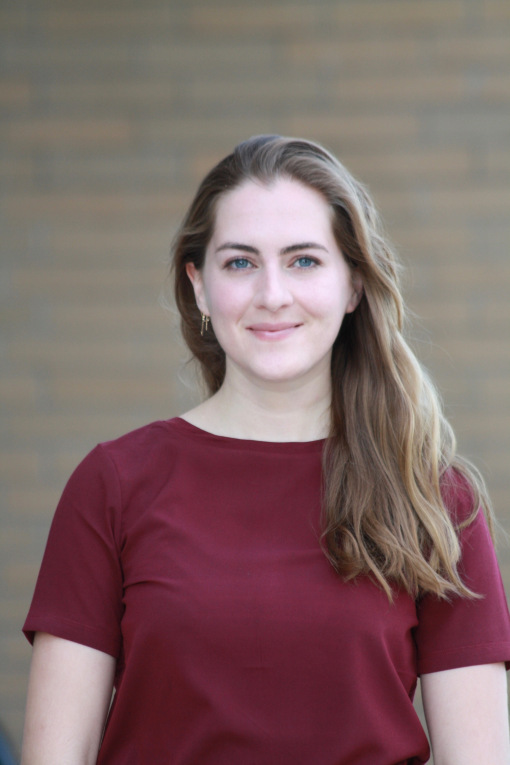 Sierra was recently awarded a CIHR Masters scholarship and will be starting her MSc in Epidemiology next Fall at McGill, investigating the cardiovascular impacts of clean energy interventions in the Tibetan Plateau. Sierra's Old Bio: Sierra graduated from McGill University with a Bachelors of Arts degree (Honours) in Geography and Geographic Information Systems (GIS) with a focus on Indigenous health and patterns of infectious disease transmission and risk. Sierra worked with Dr. Sherilee Harper and Dr. Lea Berrang-Ford on an honours thesis that combined quantitative and qualitative methods to understand the burden and the lived experience of acute gastrointestinal illness for Indigenous Batwa in southwestern Uganda. The quantitative chapter of Sierra’s thesis was recently published in the journal Epidemiology and Infection. More recently, Sierra has been conducting a longitudinal analysis of long lasting insecticidal net coverage and use among Batwa after a mass distribution campaign to assess socioeconomic factors affecting net retention and uptake. Rosalind's Old Bio: Rosalind is a 4th year undergraduate student at the University of Guelph, majoring in Bio-Medical Science. She is working with Dr. Sherilee Harper during the 2014/2015 school year in order to complete a 4th year research project. Her project will focus on water-related acute gastrointestinal illness in Rigolet, Nunatsiavut. Rosalind has previously worked on pre-clinical vaccine research as a summer lab student at Pfizer's Vaccine Research Ottawa site. Sahar's Old Bio: Sahar is currently finishing up her MPH at the University of Toronto in Health Promotion with a focus on Global Health and Indigenous Health. Broadly, her research interests involve understanding social, cultural and environmental determinants of community health and wellbeing. For her practicum last summer, she worked in Yellowknife, Northwest Territories looking at mental health resiliency and suicide prevention among Indigenous people across the circumpolar north. She also had the opportunity to design and pilot a creative arts and music workshop with the aim of using arts as an avenue for wellbeing and resiliency among Indigenous youth. For her Masters research project this summer, she is excited to be working on the Climate Change and Health Network (CCH-Net) project, exploring Inuit indicators of health and wellbeing as well as community-based climate-health adaptation strategies within the context of climate change in Nunatsiavut, Labrador. She is particularly passionate about using participatory and creative approaches, like digital storytelling and photography, to spark community discussions on the relationship between environment and health and to develop relevant and engaging knowledge-sharing strategies. Sahar is co-supervised by Drs. Sherilee Harper and Ashlee Cunsolo Willox.